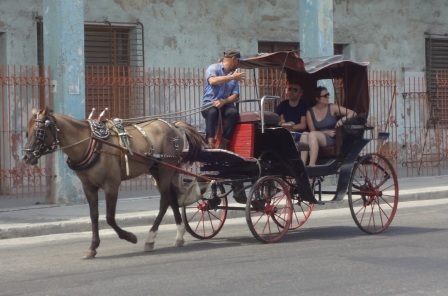 Havana transport… getting around… is not a problem. You have choices. 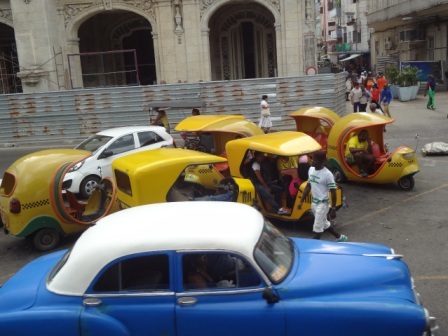 Foreigners can now negotiate either in CUCs or in National pesos for a ride in any of the 1950s taxis. So it can be very cheap to ride across town. And you can negotiate the fare. 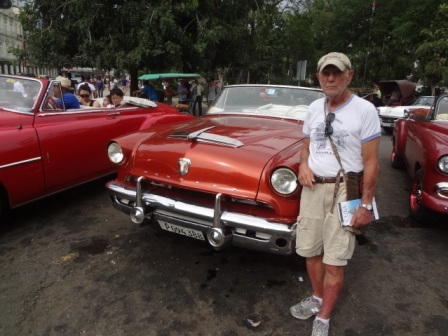 As soon as you make a Cuban friend, they will gladly take you for a ride in a 50s Chevy or Ford owned by someone in the neighborhood. 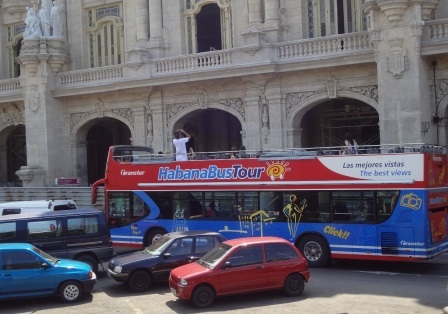 The double-decker bus around Havana is one of the city’s tourist bargains. Although it is called the Hop-on and Hop-off bus, most people stay for the entire three hour tour! You won’t want to miss this chance to see everything from Old Havana to the outer limits of Miramar, passing most of the major sights. 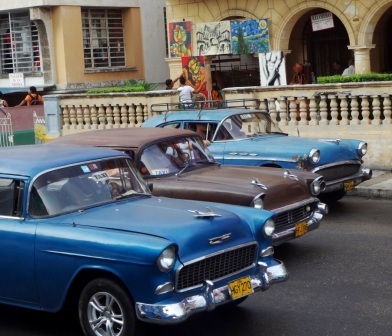 Old Havana includes a stop at the Feria de Artesania, then cruising past Central Parque, down the Prado, and along most of the Malecon ocean stretch.